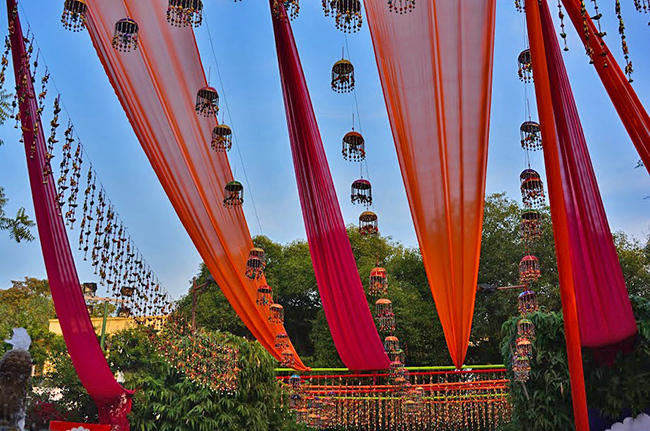 The Jaipur Literature Festival is the biggest free literary fest anywhere in the world, being a five day celebration of art, literature and music in all their forms. The eighth lit fest ended on 25th January, 2015 after five days of talks, book launches, book signings, musical performances and interviews of eminent personalities. While political, religious and literary discussions are predominant, there’s more to the fest than just that. 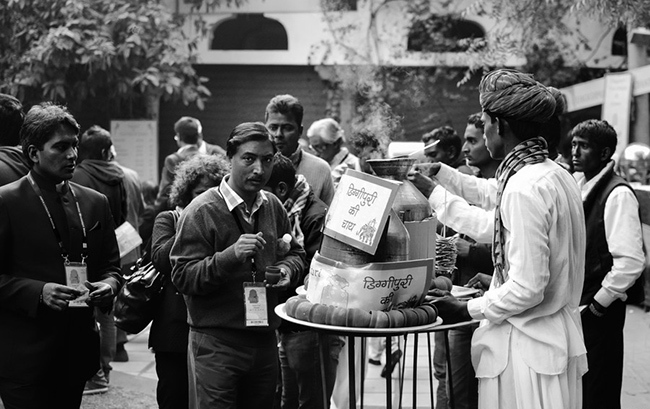 We bring you highlights from this year’s fest and give you five reasons why the Jaipur Lit Fest 2016 should be on your next travel itinerary. If there’s one thing a book lover cant resist, its watching their favourite authors engage in intellectual discussions live, on topics as diverse as astronomy and politics, and thats exactly what the literature fest is all about. The eighth JLF had some renowned writers, poets, cartoonists, politicians, mediapersons and literary critics, among which were Nobel Laureate Sir V. S. Naipaul, renowned lawyer Mr. Ram Jethmalani, Eleanor Catton (the youngest recipient of the Man Booker Prize) and poet, literary critic and former civil servant Mr. Ashok Vajpeyi. Apart from recounting stories of their ventures into the literary world, their struggles and their influences, they are available to sign books (an activity that usually took longer than expected!) In fact, there’s also an Amazon bookstore that sells popular books at a slightly discounted rate. Wherever you go, whatever you do, inspiration will follow you. 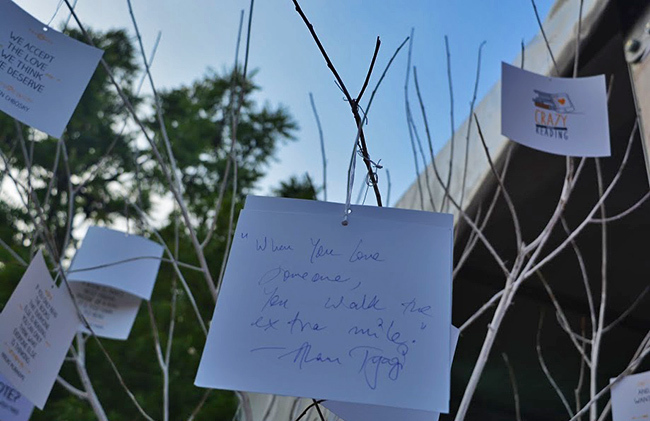 The fest is a popular escape for budding poets, writers, cartoonists and even musicians. With speakers like Dr. A. P. J. Abdul Kalam delivering speeches on youth empowerment and his vision for a developed and reformed India, it goes without saying that these talks attract huge audiences and leave them oozing with inspiration. As speakers share stories of their lives, and how they made it to being influential persons in their field of literature, they motivate young listeners into following their dreams. The fest is an elite space for artists and enthusiasts to celebrate all that adds essence to their lives- literature in its many forms. Though the fest is held within the walls of Diggi Palace, it is a space where ideas and thoughts know no walls. Every day of the fest was concluded with a musical performance. The diversity of these performances cannot be overstated. There were Alim Qasimov Ensemble, a father daughter duo from Azerbaijan, the father being a recipient of the International Music Prize by UNESCO, and traditional Rajasthani folk musicians who played instruments like shehnai, dhol, morchang and nagara. 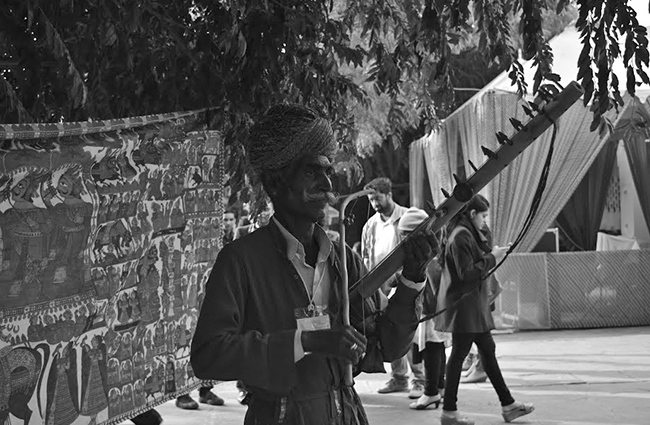 On the second day, Sain Zahoor, a renowned Pakistani folk singer known for his captivating performances on the iktara, performed along with Dub Colossus, a jazz band. Rizwan Muazzam Qawwals and Midival Punditz left the crowds swaying and wanting more on the third day of the musical performances. Since most participants prefer to spend the entire day attending events at the fest, a number of food stalls were set up, offering variety as well as quality. Makeshift patisseries found a space for themselves in every nook and corner. There was the slightly overpriced biryani and there was the sizzling kachori which gave the phrase value for money a whole new dimension. Apart from this, there were restaurants on the rooftops, and fast food stalls for people to grab a quick bite before rushing to their next event. Once the day’s events neared their end, snack counters and bars began gearing up for the music soirees, when people could just grab a drink and enjoy the live music. 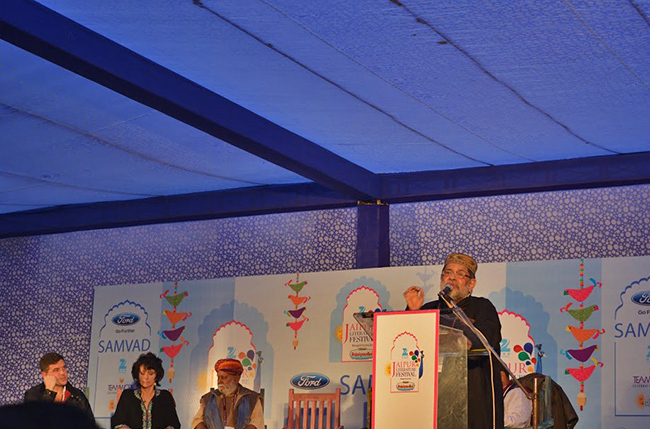 Being the only large scale lit fest in the country, it is a haven for literary enthusiasts. The fest has succeeded in bringing together with coherence a number of people representing diversities with one thing in common : love for literature. 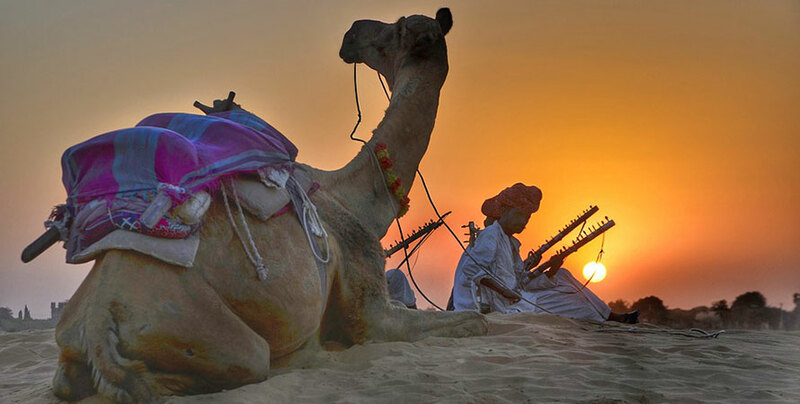 There could be no place more apt for the fest than Jaipur, with a historically and culturally rich heritage. Every year, thousands flock to the Pink City to be a part of this vibrant space, where the only stupid ideas are the ones that aren’t shared. Meghana is an avid reader, metalhead and foodie who spends her time following politics, working at animal shelters, advocating feminism and atheism and watching Anime, among other things. She has too many aspirations to list in one go.